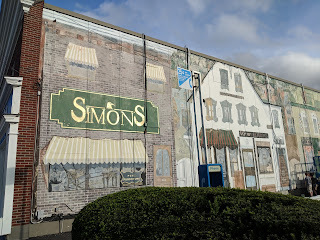 "Apothecaries, shoe shiners, and of course, furniture stores like Simon’s were the bustle of downtown more than a century ago. One local business is keeping this spirit alive, revitalizing one of downtown’s most admired murals outside of Simon’s Furniture at 8 Summer St. The mural depicts a vintage early-1900s take on the vibrant sights and colors of the shops that era had to offer. 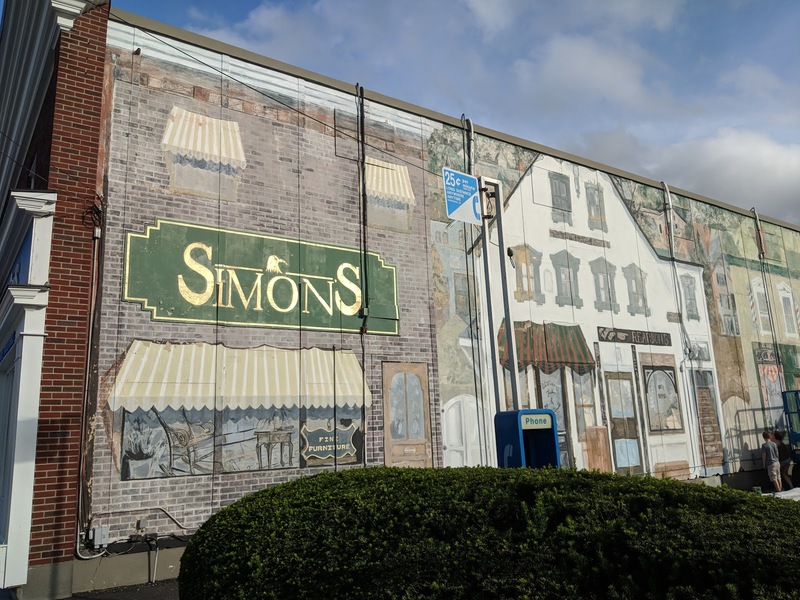 Kirk Simon, one of the owner’s of Simon’s Furniture, said the mural has not only been a part of their business, but a staple in town. With paint chipping and the large mural fading, employees have taken it upon themselves to revitalize the art.